Hot, dry weather getting to be too much? Come visit our basement, where it’s 60 degrees and rainy! And here we see a well preserved set piece from Blood Slaughter Slasher 3. You can see the fake blood is still caked to the floor. Here we see a well preserved piece from the set of Bloodlust slaughter 3. 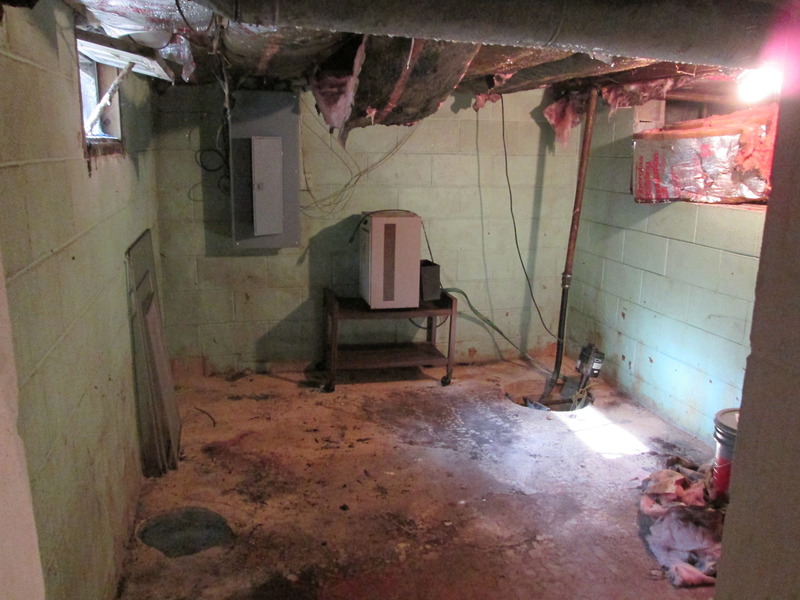 As you can see the basement murder room still has much of its original blood caked to the floor. I’m counting on them coming back for the sequels!